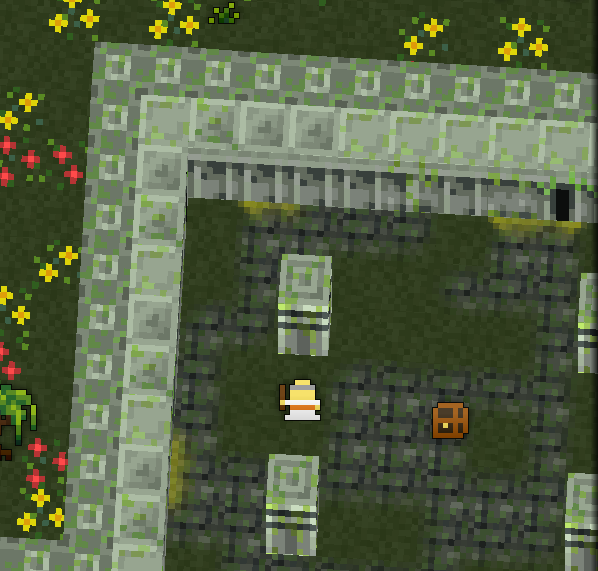 Realm landmarks are setpieces and environments that are created with each new realm. Thay have set numbers in each realm, so more cannot be created. They can, however, be destroyed when superceded by Event setpieces. Abandoned cottages are scattered throughout the lowlands. They are solid structures, but they are often missing sections of their walls. They have wooden floors that are worn away, revealing the ground underneath and occasionally allowing plant growth. 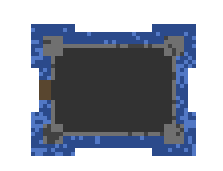 They do not specifically house any event or quest, though sometimes wandering monsters can be found inside. Hills are marked out by the presence of a small circular road. 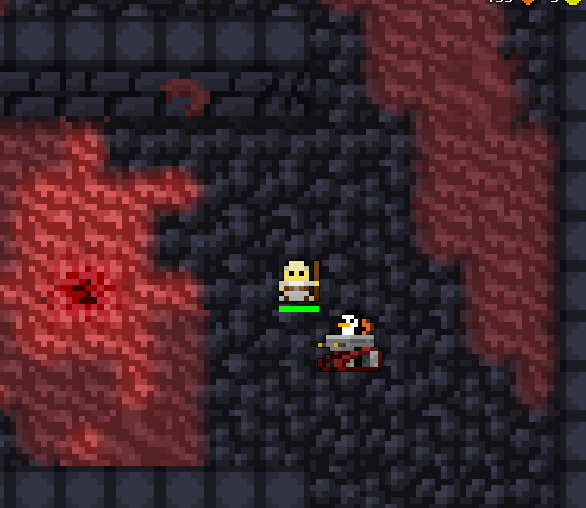 It is possible to find them throughout the realm. They do not specifically house any event or quest. Because roads are created along lines of equal lattitude, it is possible that they mark out a small valley as well. Graveyards can occasionally be found in the lowlands and midlands. 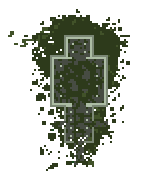 They are walled off areas with small and simple t-shaped gravestones scattered within. 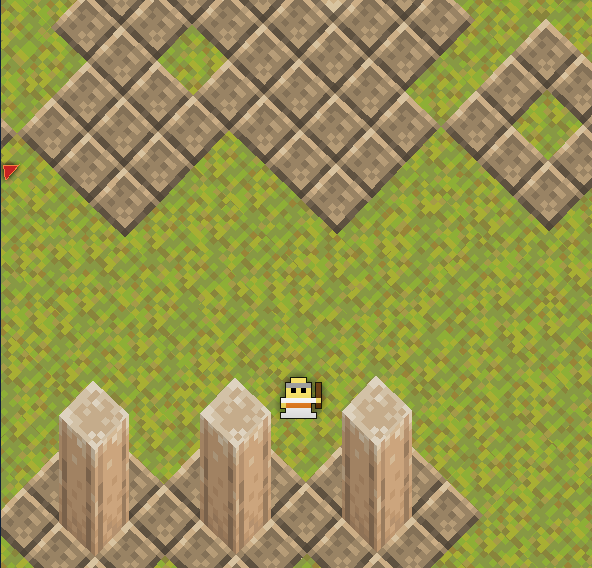 The surrounding stone walls will often have gaps or breakable sections. The ground has dark green grass with patches of the surrounding environment. 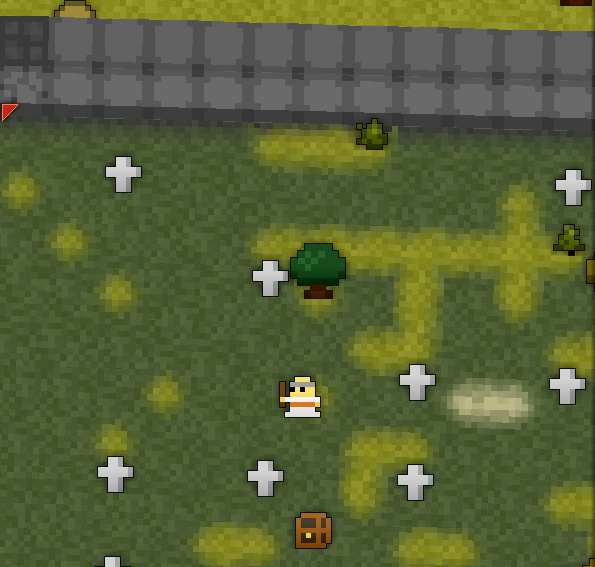 The Deathmage resides in the graveyard, guarding a treasure chest that can hold equipment. 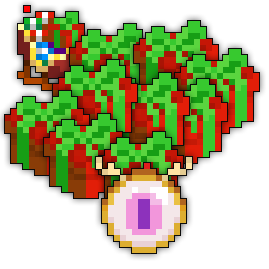 As with all treasure chests, once everything in the chest has been taken, it will disappear. 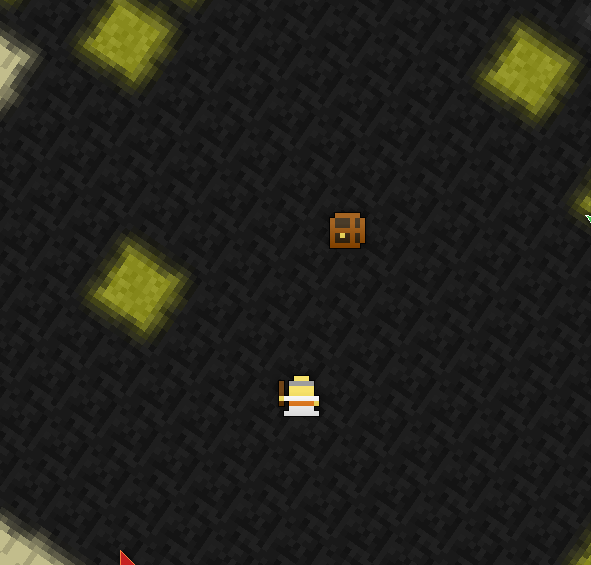 The Great Coil Snake can be found in ruins, guarding a treasure chest that can hold equipment. 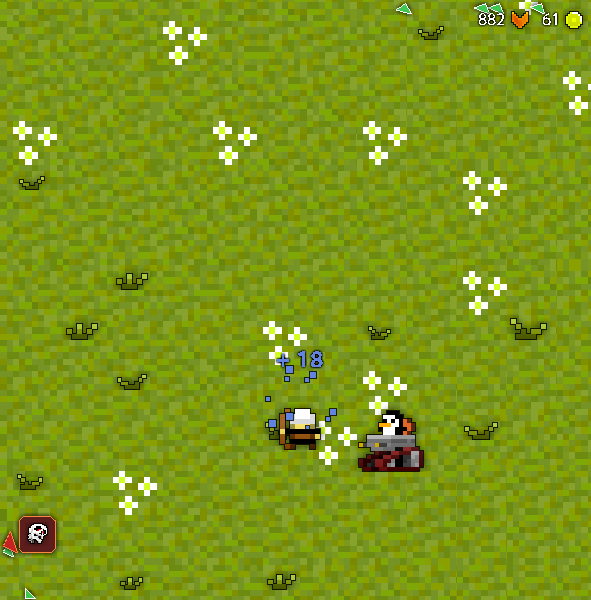 As with all treasure chests, once everything in the chest has been taken, it will disappear. Temples can be found in the midlands. They are rectangular structures made of solid and breakable blue blocks. One end of the structure is open, and the opposite wall is three blocks thick. The other two walls are one block thick. The inside of the temple has blue tiled floors and pillars. The Lich presides over the temple. Tree groves are found in the midlands, occasionally bordering the highlands. It is a circle of perpetually flowering cherry trees, surrounding an area of green grass and pink flowers. The Ent Ancient lives inside the tree grove. Snowy groves are found in the midlands, occasionally bordering the highlands. It is a circle of perpetually tundra trees and mini houses, surrounding an area of snow and blue flowers. 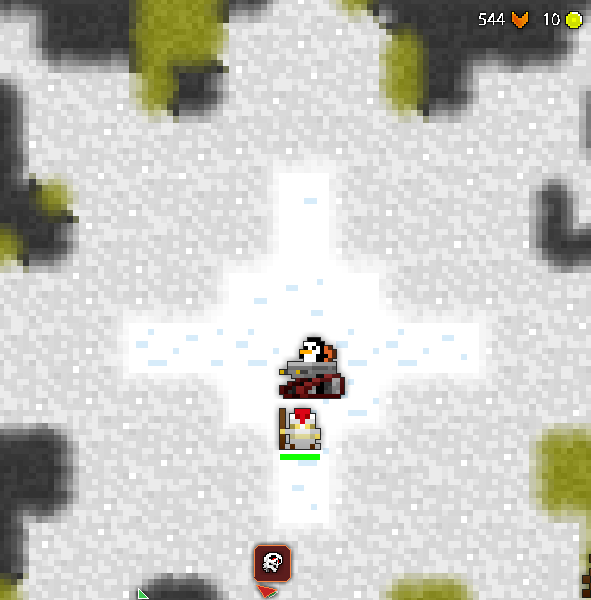 Only appears during the 2017 Christmas Event. The Evergreen Ent lives inside the snowy grove. Oases can be found in the deserts of midlands and highlands. 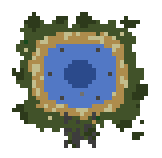 It is a circular area of shallow water, sometimes with lilypads, surrounded by green grass and palm trees. 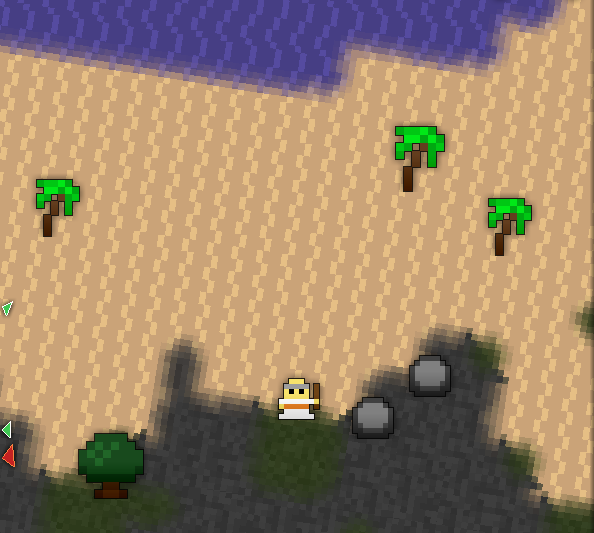 The oasis has a small green island with palm trees and a treasure chest. The Oasis Giant guards the oasis and its treasure chest. 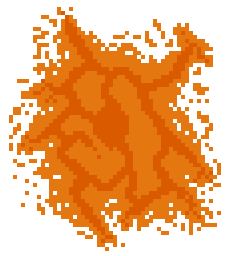 Pyres can be found in the deserts of midlands and highlands. 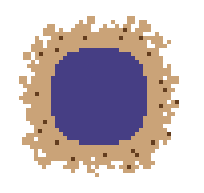 It is a circular area of blackened earth with a treasure chest in the center. The Phoenix Lord nests in the pyre, guarding its treasure. Towers can be found in the highlands, sometimes bordering the mountains. It is a circular structure with solid and breakable stone walls and stone floors. It has a wide opening on one section of the wall. Its floors are often worn away, allowing grass and trees to grow inside. The Ghost King haunts the tower. 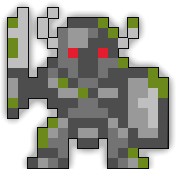 The Cyclops God occupies the castle, defending its treasure. Dead forests can be found in the highlands, sometimes bordering the mountains. It is a sprawling area with grave markers scattered throughout. 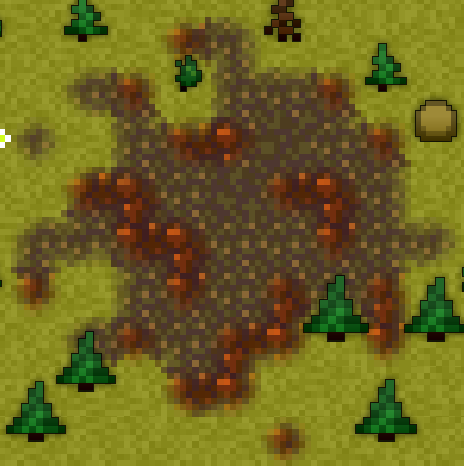 It has dead grass, dead trees, and black flowers. It often has a path of stepping stones going through it and mushrooms growing on its edges. 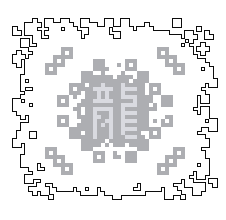 The Kage Kami protects the graves in the dead forest. Parasite Ruins can be found in the highlands. It is a small, ruined building with fleshy streaks that resembles the interior of the Parasite Chambers. 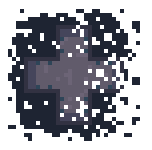 A Scout Colony can be found inside and is protected by various Parasite Chambers enemies. 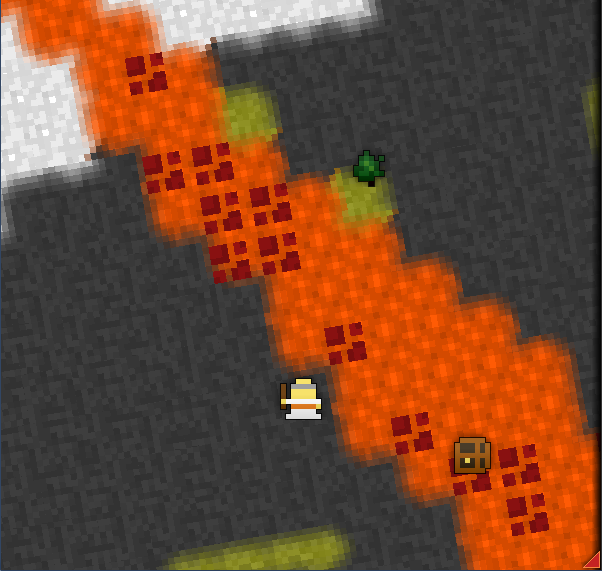 The Red Demon dwells in a lava fissure, guarding its treasure. These are setpieces that are created with events as they are spawned. 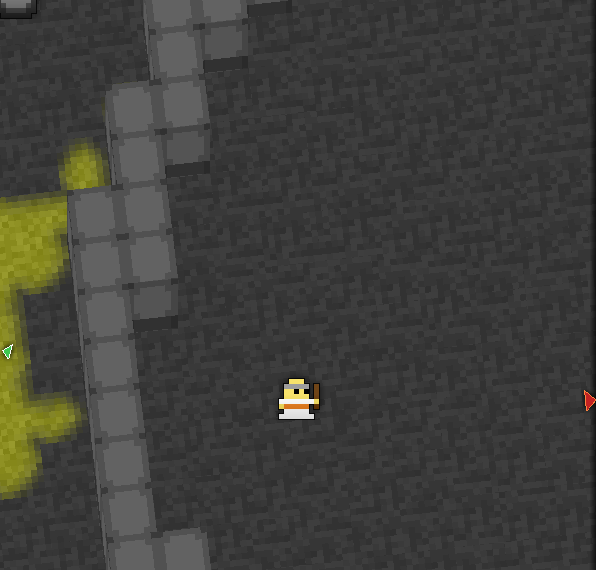 After events are completed, these environments are left behind. Events Spawn in the mountains, the highlands, and occasionally in the midlands. 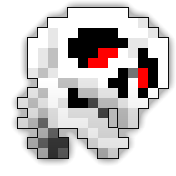 The Skull Shrine spawns in a cross-shaped area with blue tiles and pillars along the sides of the arms. 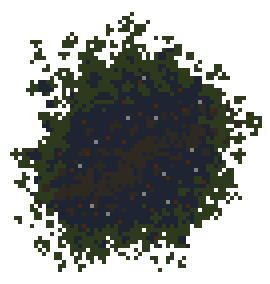 The Pentaract spawns with each of its towers on a small circle of blackened earth. The five circles mark the outer corners of the pentagram made by the Pentaract. 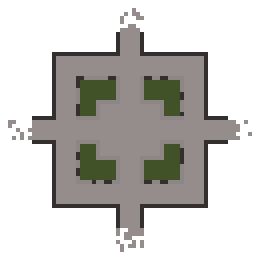 These circles can be used to mark where each tower could have dropped a loot bag. 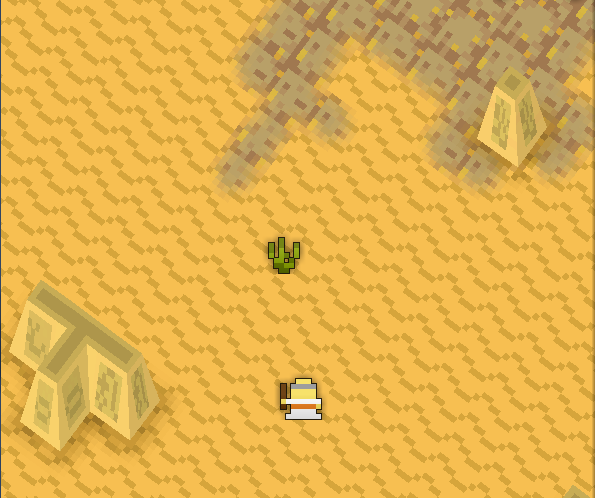 The Grand Sphinx spawns with a large sandy environment. The sand here is more golden than the sand found on the shores and in the deserts of the realm. The setpiece has small and sparse shrubbery growing in the sand and a small oasis, complete with palm trees, in its southwestern corner. The Grand Sphinx is found in an area with sandstone floor tiles that make something like an eight-pointed star design on the ground. Surrounding that area are pillars and T-shaped structures which can block the Sphinx’s attacks. 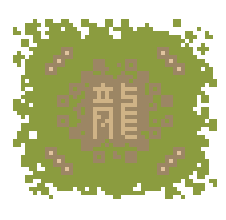 The Hermit God spawns underneath the surface a circular lake with deep water in its center. it is surrounded by dark green grass, sand, and stone pillars. The south side of the lake has a worn-away stone platform with pillars along its sides. 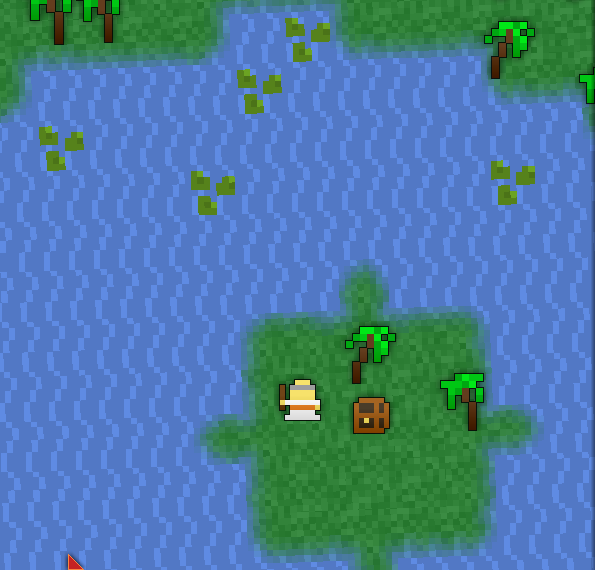 After the Hermit God is defeated, the deep water will be replaced with regular water, which is walkable. 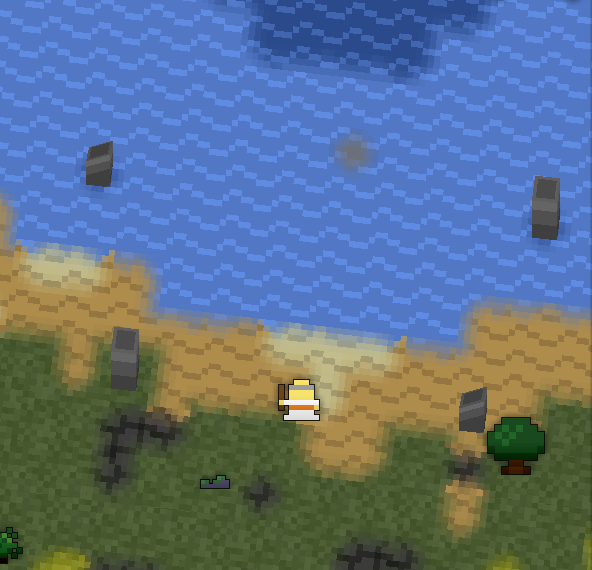 The Ghost Ship spawns in a circular inland sea with dark and shallow water. It is surrounded by pale sand and palm trees. If the Ghost Ship drops the entrance to Davy Jones’ Locker, a small island is formed in the center of the water with sand and palm trees. 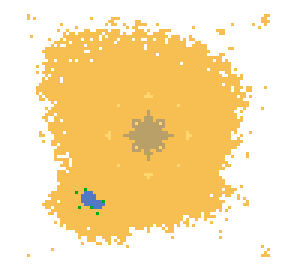 The Beach Bum also spawns on this setpiece, although on a slightly larger island in the center. 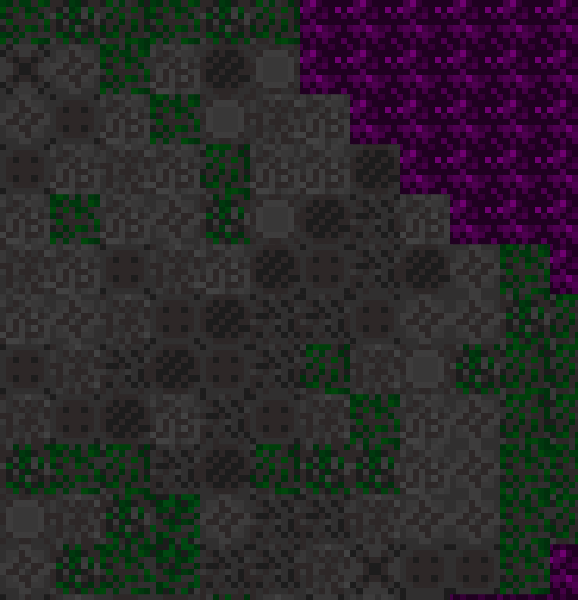 The Rock Dragon spawns in an area with light green moss and sandstone tiles. The tiles make the traditional Chinese character for “dragon” (龍). There are three large pillars in each of the area’s four corners. 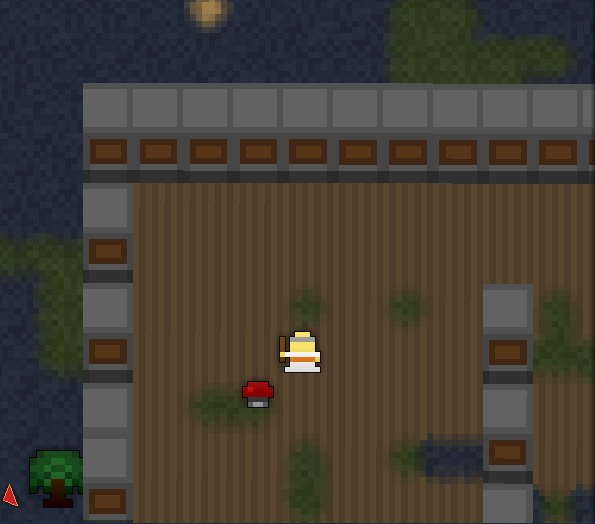 The Rock Dragon spawns in an area with light snow and grey bricks tiles. 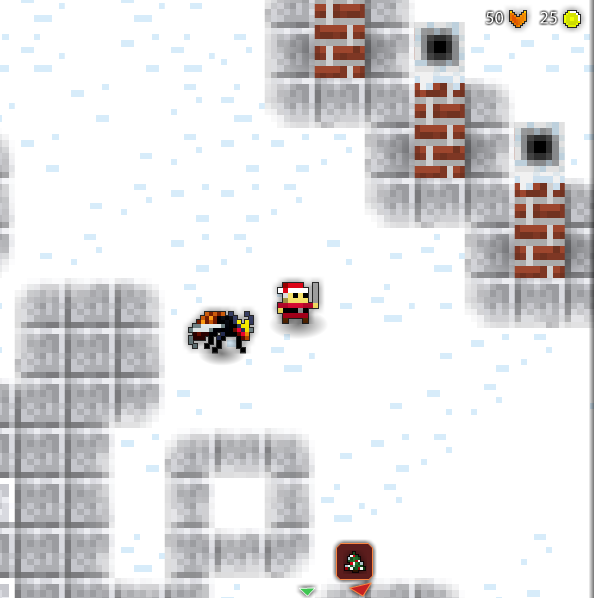 Only appears during the 2017 Christmas Event. 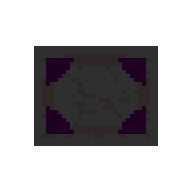 The Avatar of the Forgotten King spawns in a rectangular, ruined area resembling the inside of The Shatters. 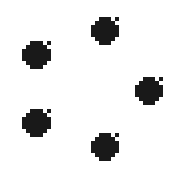 There are four pools of pure evil on the edges of the arena where blobombs will spawn from later in the fight. 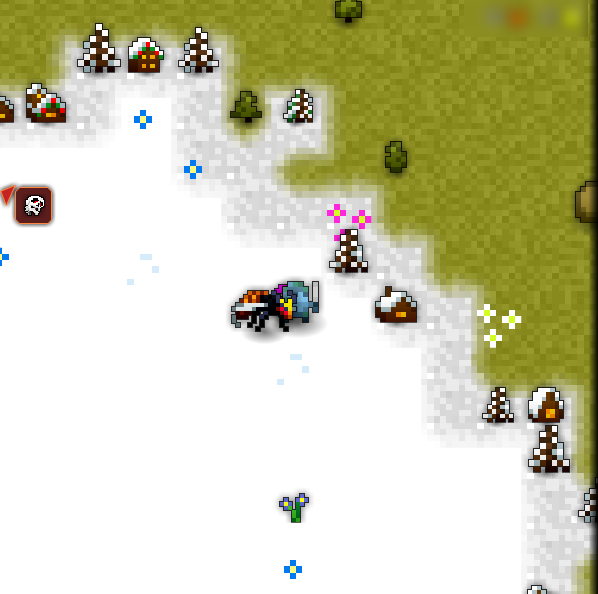 The pools of pure evil disappear every time the Avatar is killed. 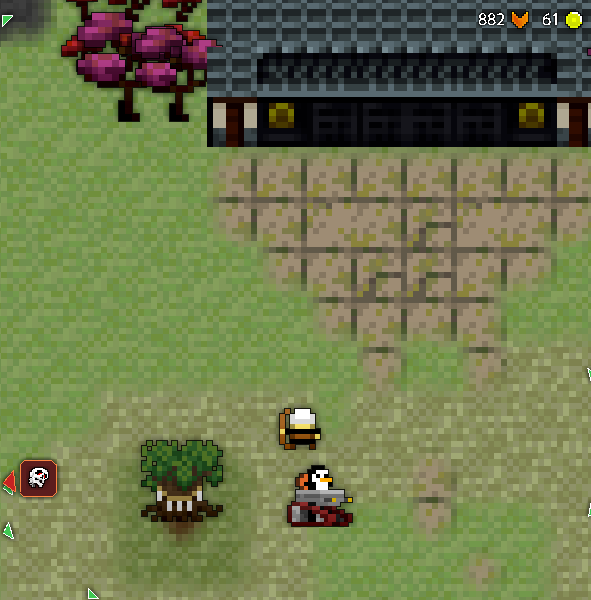 The Jade and Garnet Statues spawn in a grassy area containing a Shinto shrine. 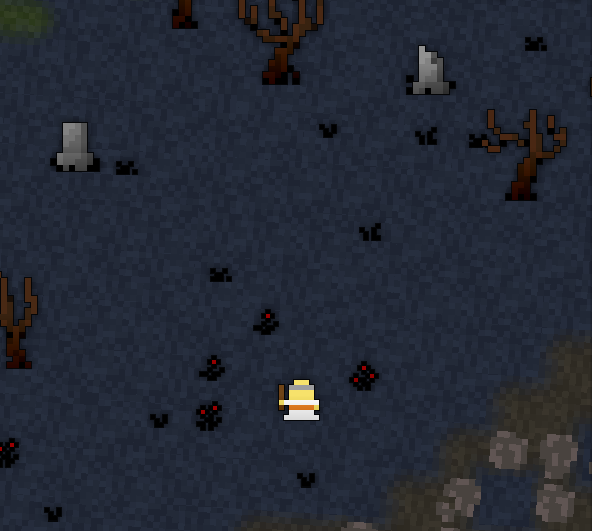 The Killer Bee Nest spawns in a large area resembling the inside of The Nest. Located throughout are channels of Killer Honey. 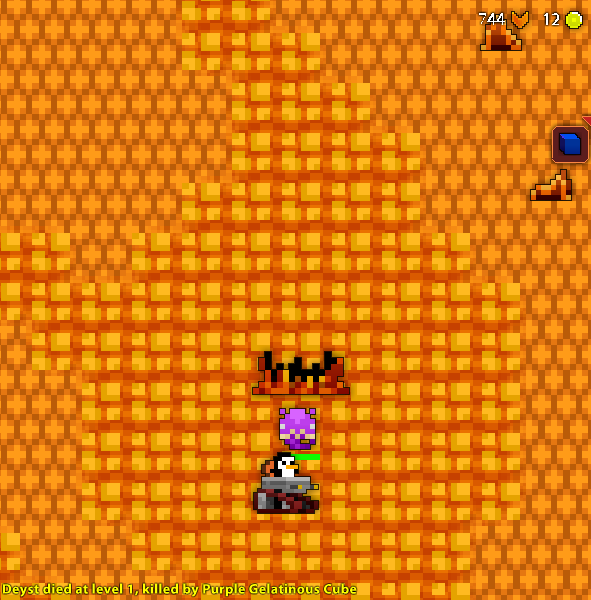 After the event is defeated, pathways will spawn over all exposed Killer Honey tiles. 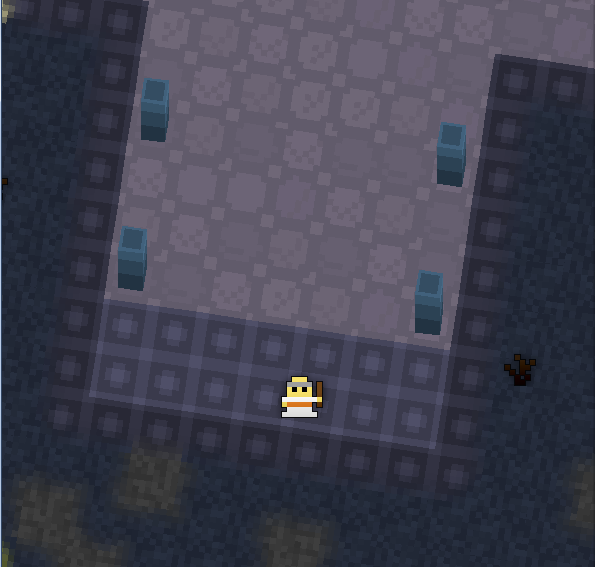 The Lost Sentry spawns in a square configuration of ruins resembling a courtyard. The Spectral Sentry flies around the border and sometimes swoops across to surprise players. 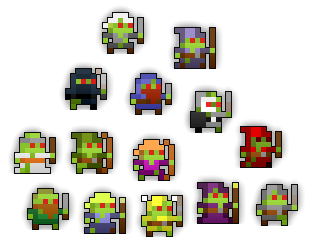 The Zombie Horde spawns in a small, decayed area. 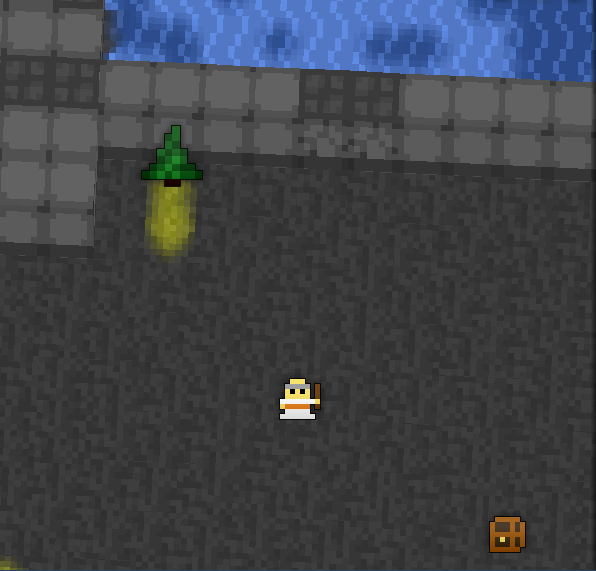 Only appears during the Halloween event. 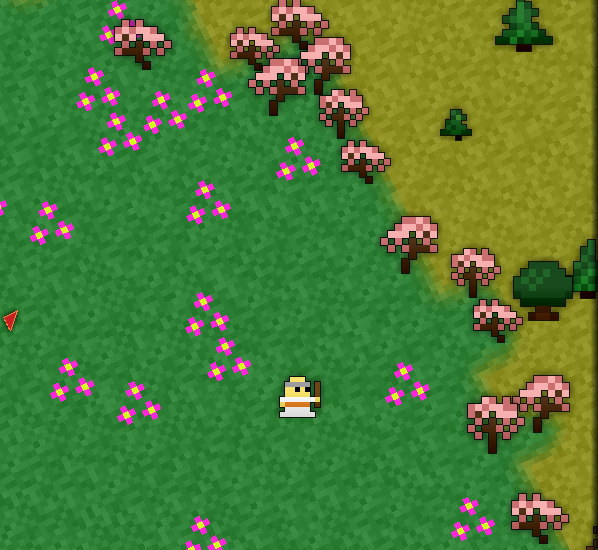 Biff the Buffed Bunny spawns in a giant Easter Egg in the middle of a meadow, which appears in the Mountains. 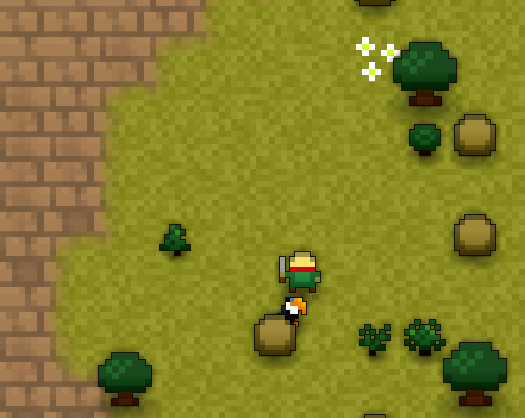 Only appears during the Easter 2017 event. 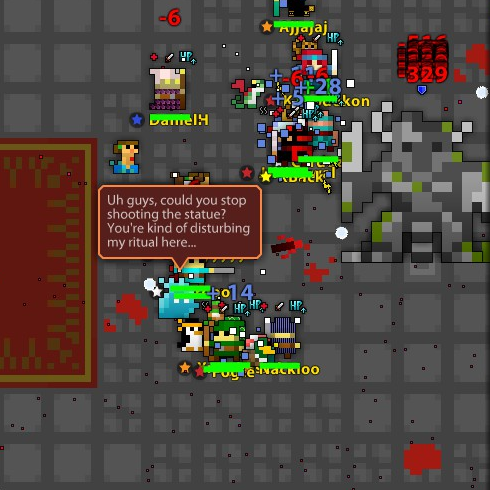 Oryx Horde after Horde dying. The Oryx Horde is found in a large grey pavillion-like area with 4 pools of reddish liquid in the corners. 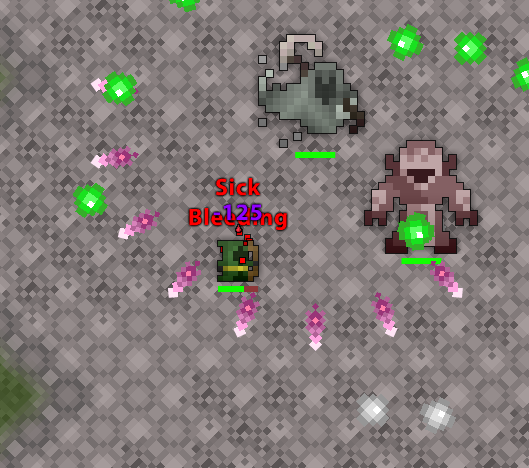 The Possessed Oryx Statue transforms the tiles into blue tiles with its Earth Smash attack, usually resulting in the area becoming mostly blue afterwards. 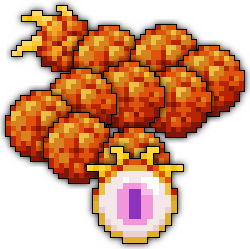 Only appears during the Month of the Mad God event. 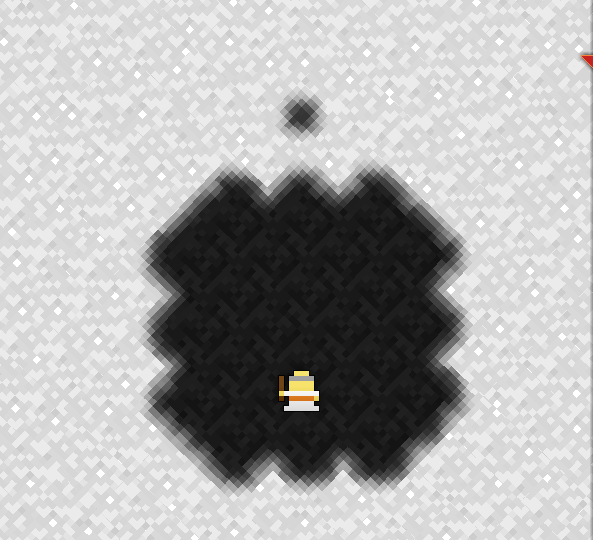 The Permafrost Lord is found in a star-shaped patch of snow. Only appears during the Christmas 2017 event.